Alievo is proud to be the first and only French and English provider of the EQ-i 2.0®/EQ 360® certification program in Canada. Just like cognitive intelligence (QI), emotional intelligence (EI) is also measured. The EQ-i 2.0 Inventory is the EI measurement tool used by the Government of Canada and the provinces of Ontario and Saskatchewan and is widely used by leading companies such as Google, Microsoft, Purolator, TELUS, Rogers and many others. The World Economic Forum speaks of a Fourth Industrial Revolution and predicts in its Future of Jobs Report that Emotional Intelligence (EI) will be one of the key competences for the leaders of tomorrow. Why is it so important? Because a person with a developed Emotional Quotient (EQ) can, among other things, better manage pressure, make better decisions, work collaboratively with others, demonstrate empathy and flexibility in the exchange of new ideas and accept feedback with openness and positivism. Self-awareness as well as awareness of our strengths and blind spots linked to our EI are the door leading to emotional intelligence, and the emotional quotient inventory EQ-i 2.0® offers the key to open it. The more we identify and monitor our emotional reactions and the impact they have on us and others, the more we change our behaviours and develop new strategies for action. Why the EQ-i 2.0® Inventory? Because the EQ-i 2.0® Emotional Quotient Inventory is the first instrument to evaluate emotional intelligence. It measures the interaction between a person and the environment he/she operates in. Assessing and evaluating an individual’s emotional intelligence can help establish the need for targeted development programs and initiatives. This, in turn, can lead to spectacular increases in the person’s performance, interactions with others, and leadership potential. Because it highlights an individual’s competency profile rather than a personality trait profile, the development potentials the EQ-i 2.0® identifies, along with the targeted strategies it provides, make it a highly effective employee development tool. Access—the EQ-i 2.0®, a Level B instrument that is well respected in the market and a leading-edge assessment tool to add to your toolkit. Transform—organizations by providing them with the expertise they need to thrive in the Fourth Industrial Revolution. Diversify—your practice by using the EQ-i 2.0® in a variety of ways: leadership development, personnel selection, executive coaching and much, much more. Grow—your business by using the EQ-i 2.0® as a catalyst for building your client development action plan. What does the EQ-i 2.0® Certification include? The opportunity to complete the EQ-i 2.0® yourself, get your custom report and a feedback session by a EQ-i Master Trainer. A certificate that authorizes you to purchase and administer the EQ-i 2.0® and EQ 360®. A free online account where you can administer and score the assessments. $280 worth of tokens ready to use after obtaining your certification. Access to resources on the EQ-i 2.0® and EQ 360® and on emotional intelligence in general. Included in the certification program. You will get your own EQ-i 2.0® Workplace report, which compares your Emotional Intelligence (EI) results to general references in the workplace. Are you curious about where you stand compared to other leaders? Take this opportunity to also request your Leadership Report, which compares your EQ results with other leaders and with the model of the four key dimensions of leadership. If you work in the area of leadership development, you will find this report very useful. Contact us. Become a reference in emotional intelligence. If you are not already EQ-i certified, here is the opportunity to become a game changer and be part of the EQ-i 2.0® experience. Option 1—Workplace Report: $1,995 CA and applicable taxes. Option 2—Workplace Report and Leadership Report: $2,125 CA and applicable taxes. *The content of the certification program is identical in both options (1 and 2), only the report received by the participant during the feedback session varies. ** We do offer group rates, contact us for more information. For a detailed training plan of the program please contact us. We do offer private offerings based on your preferred dates, contact us to discuss this option. This certification program is approved by the International Coach Federation (ICF) for 16 hours of CCE (9.25 hours in Core Competencies and 6.75 hours in Resource Development). 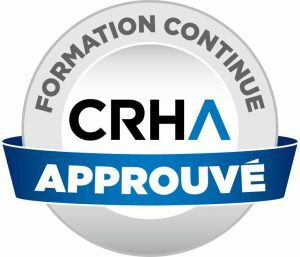 It is also approved by the l’Ordre des CRHA for 16 hours of continuing education.